There are witches, gypsies, daemons, and best of all--armored polar bears! The warrior bears have a spectacular battle scene towards the end that still shakes me to the core when I read it. There aren't words enough to describe what an important work of literature this is, not only for children, but also for thinking, feeling, dreaming adults as well. 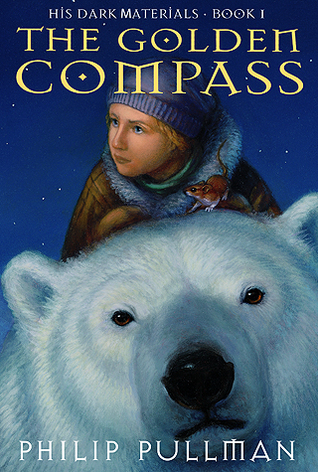 Sign into Goodreads to see if any of your friends have read The Golden Compass. I really need to re-read this series, it has to be one of my all time favourites. I love Philip Pullman, he's really down to earth aswell! I really want to re-read this one, too. Somehow whenever I start to do it, I make it through the first book and then get distracted. Have you met PP?? That must've been amazing! I've not met him properly but he had an honorary degree at my university and he regularly visited the English department to talk about his writing. But he always stayed behind to answer questions and he was really enthusiastic and you could tell he actually wanted to be there not just had to, if you get me? My friend studied creative writing and she got to go to a writing class lead by him! Needless to say, I was so jealous! That's so nice to hear (er, the enthusiastic part, that is). And sweet heaven, to study creative writing under Philip Pullman! The mind boggles. I've only visited Oxford once--it was so lovely. I picked up a copy of Lyra's Oxford long ago with the idea of someday going back and seeing it through her eyes! I've never been to Oxford! I'd love to go though. I always see Lyra's Oxford in my library but I've never read it! Might have to pick it up next time... I love Lyra, she's definitely one of my favourite heroines. I love Lyra, she's definitely one of my favourite heroines. Likewise. I love that she's prickly and defiant, but so full of courage and love and compassion and loyalty as well. Such a great character. FML. You haven't read this yet, Cillian? It is GORGEOUS. It still makes me anxious when I read it. Wendy Darling wrote: "FML. You haven't read this yet, Cillian? It is GORGEOUS. It still makes me anxious when I read it." Ceilidh--I have not! I think I may do the audiobook for this readalong, because several people have told me how wonderful it is. I've read this so many times in the past 17 years, though I never continue onto the other two (only ever finished Subtle Knife twice and Amber Spyglass once). Angela--yay! Please do. :) The more the merrier. Wendy Darling wrote: "Ceilidh--I have not! I think I may do the audiobook for this readalong, because several people have told me how wonderful it is. Dee--you totally should! It's going to be SO much fun. :)"
I'm considering giving this another shot just for you Wendy. Well, also Caitlin. but mostly you. I would be honored, Kate. And I promise to be nice, hah. What kind of age group is this? I've always looked at it as more of a elementary-middle school level book, but I've never read it, or even heard much about it. Exactly what Veronica says, Lee. 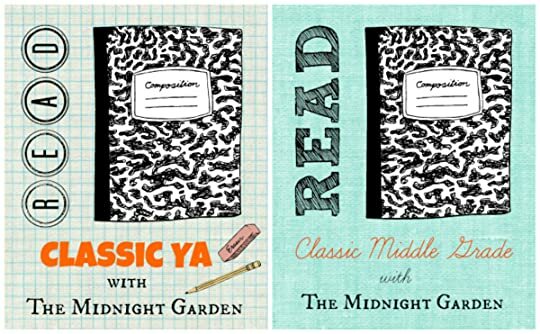 I consider these more YA (themes, writing, depth, etc), although the protagonist is younger--and I suppose in some ways the circumstances are more MG as well. It's one of those books that really straddles the age categories, and I'd recommend it for all ages, really. I have a copy of Northern Lights and I have only just realised that they are the same book. I have had this on my to read pile for such a long time and this is the perfect excuse to start reading! Have fun with the group read Wendy! I read the series so recently, but I might just have to pop in for the discussion. Thanks for the heads up! Lady Danielle and Tara--it's the perfect time to read it! It's a snowy, beautiful book, plus we'll be here to hug you when you need it. Wendy, a snowy read sounds good now, LA has been a bit too warm for me lately. Though, Tara, I can't imagine being in the same weather you're having there. I hate the heat. HOw fun! I read this way back when, but never bothered finishing the series. I picked this up a few days ago to re-read it quite randomly. Maybe I should get back to it. This has long been one my favorite YA trilogies, and I think was one my earliest intros to steampunkish type elements. Tara--I do the same thing sometimes in reading books that are the temperature I want to be! I'm glad you're going to join us for the discussion. Lady Danielle--it has been unseasonably warm here, even for us. I've been so sick that I've only been outside twice in the last 3 weeks, though, so I rather enjoyed the sunlight when I was outdoors. Shera--It's funny, I've only read books 2 and 3 once, but I've read Golden Compass at least a half a dozen times. It's definitely my favorite. Sarah--Oh yay! I hope you will continue with the reread and pop in to chat with us. This book means a great deal to me, and I think this was one of my first steampunk books, too. Plus ICE BEARS. This series is fabulous. One of my favourites. It's everything na adventure book should be and its extremely enchanting. Plus, it is not "overly simplified" because it is for children.It shows all the grey ares and the complexities about them. I must re-read it! My love for this series teetered out by the end of book two unfortunately. I read it for the first time when I was 11 and then again at 13 but never as an adult. i love this book, on of my faves!